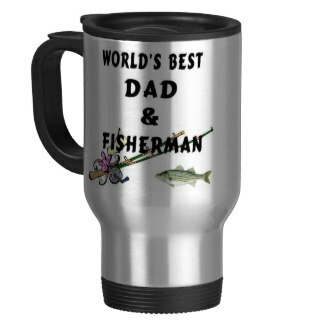 Best Ever Coffee Gift Idea! Keurig coffee makers are great gift ideas and my Keurig single serve roaster is the second most favorite of all the gifts I have ever received! My favorite present of all is the lap top I'm writing this on but my cup of coffee is sitting right next to me, perfectly brewed, easy to use and a mug full of coffee heaven. Coffee from a cup into my mug is always ready when I am. K-cups are so easy to use, available by the box and no clean up mess or fuss. How many times have you thought I'd love a fresh cup of coffee but didn't feel like making a whole pot, measuring the coffee, adding the water then waiting for it to brew? Now all you have to do is think it, press the lid, hit the brew button and your cup of coffee is ready before you can decide which cookie to have with it! If you like flavored coffees like yummy french vanilla, german chocolate cake, cinnamon spice and so many others, Keurig K-cups are perfect for you too. Decaf coffee drinkers are no problem! Decaffeinated coffees are available in choices of light to robust and gourmet flavors like hazelnut and fruity blends. This lens is dedicated to coffee lovers everywhere who will love to discover the gift of a keurig single cup coffee and tea maker. I leave my coffee maker plugged in and on at all times. My settings are ready to go, largest cup size please always. Simply open the lid, insert a K-Cup, close the lid, and select a cup size. Four brew-size options include a 5-1/4-ounce robust cup, a 7-1/4-ounce regular cup, a 9-1/4-ounce large mug, and an 11-1/4-ounce extra-large mug. Set the brew size and brew temperature with easy-to-use controls. There is a blue-backlit 60-ounce water reservoir that removes for simple filling, a programmable blue-backlit LCD message center, a convenient 24-hour digital clock, Quiet Brew technology, and a removable drip tray for quick cleanup make this the perfect gift of love. 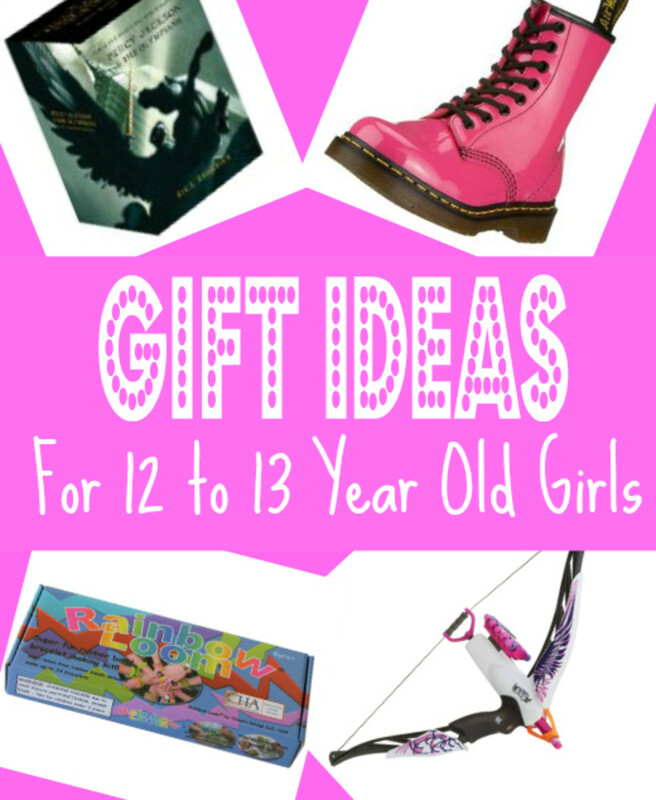 Forget the chocolate. Don't send flowers! Give a Keurig for the perfect holiday gift idea and some boxes of K-cups in wonderful flavors are also great gifts for coffee lovers. There's a new single serve coffee pot in town and it's my new love! I replaced my old Keurig B-90 because it was starting to give me a hard time. Sometimes I would get a half a cup of coffee, sometimes my cup would overflow. I tried descaling, cleaning and all the manufacturer recommendations including calibrating with a paper clip but it just was annoying! After 6 weeks of trying everything it was time to move on! 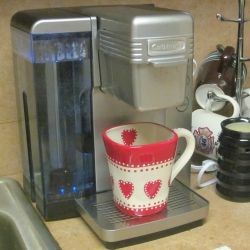 This new brewer is the SS-700 and I'm enjoying my perfect cup of coffee as I write this. It is quiet, has 5 cup sizes including one for iced drinks and are you ready for this........it's water reservoir holds 80 ounces of water at a time!! Less water refills, more great cups of coffee that just couldn't be easier! It's K-Cup re-usable coffee filter (included) is stored in a cute little compartment on the side so you can use bagged coffee of your favorite kind which also probably costs a little less than using K-cups all the time. It also includes a cute little pre-measured scoop for this purpose too. The only thing they missed is somewhere to store or hang this scoop too, but not such a big deal. Buy your Keurig coffee maker with the options, sizes and prices just right for every coffee lover. 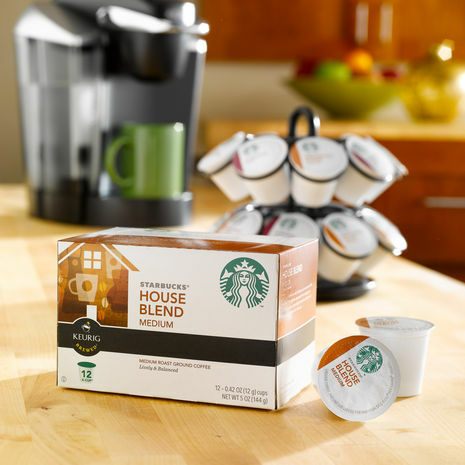 Brew gourmet coffee and tea one cup at a time with the Keurig coffee maker. It's fast, fresh and affordable. Choose your Keurig coffee maker from a complete selection of Keurig brewers. Keurig Special Edition B-60 is a perfect appliance for making single cups of hot beverages. It's so simple and easy! No Grinding, No Clean Up and No Hassle! It uses pre-measured portions called a K-Cup and K-Cups are available with many different kinds of coffee, tea, or cocoa. The Keurig Special Edition B60 also includes a generous 48 oz. removable water reservoir and gives you a choice of 3 different cup sizes, including a 9.25 ounce serving for a travel cup. Want more control? New temperature control feature allows you to choose the standard 192-degree Fahrenheit brew temperature, or a cooler 187 degrees giving you full control over temperature and brewing time DeScale indicator for long life Removable 48-oz. water reservoir Removable stainless steel drip tray Chrome handle and faceplate For home, small office or light commercial use Requires use of K-Cups - The patented K-Cup design protects coffee from moisture, oxygen and light, so you get a consistently excellent cup, every time. 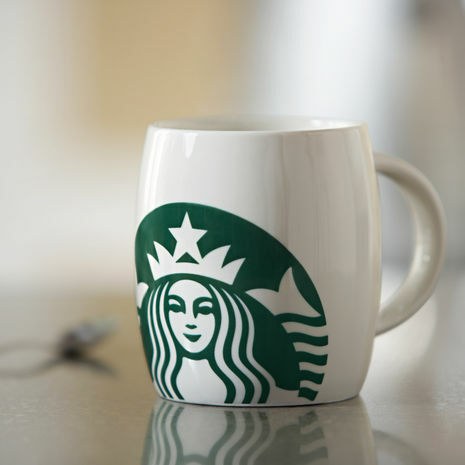 What could be finer than a cup of your favorite coffee with your own identity written all over it. Brew it in a Keurig, use a Mr Coffee or pour it from a decanter, either way you choose to get it into your cup, fun is brewing up a smile when you drink it from your favorite mug with your name, monogram or even favorite photo on it. 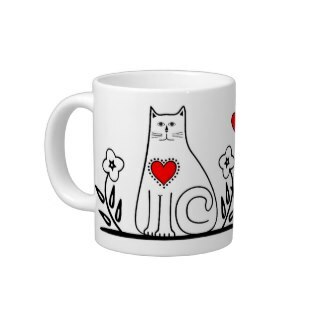 Personalized coffee mugs are definitely great gifts for holidays, birthdays and special occasions for coffee drinkers, tea lovers or for a cozy warm mug of hot chocolate. Using a Keurig to make your coffee is good for the environment too! Single cup coffee cups has allowed Keurig to actively support a better environment. The Keurig system does not waste water because coffee is brewed one cup at a time. Glass pots and thermal carafes use water for brewing coffee by the pot which is often disposed of as waste after the coffee cools. In addition, detergents that are used in offices to clean glass pot and thermal carafe systems can contaminate our waterways. Finally, in order to sanitize glass pots and air-pots, many office coffee distributors soak them in acid baths, which are harmful to our waterways. Keurig recommends natural citric acid for all cleaning procedures and the Keurig system requires less frequent cleaning than traditional glass pot and thermal carafe systems. I had to share this with my coffee lover friends. Amazon.com has this unbelievable Subscribe and Save program that can really save you money. I thought there had to be some gimmick, but I can't find anything but great news about this! They have tons of your favorite coffees and teas in stock and while their prices are pretty good anyway, if you sign up for their Subscirbe and Save program you save an additional 15%, shipping is free, yes free, and you can choose how often you want it delivered. There's no contract, you can change or cancel anytime with no penalty, and it's not just 15% off the first delivery, it's all of the deliveries. They tell you what the price will be for the product you choose right up front, cancel anytime, this is awesome! Brew some french vanilla in just seconds from coffee maker to mug. 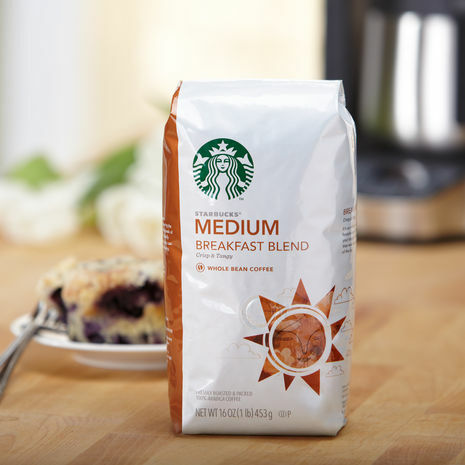 Mild and welcoming breakfast blend is the perfect way to start your day. Not everyone wants a Keurig, Tassimo or single serve coffee maker and they like it the basic, good old fashioned way! It's a lot less expensive from the cost of the brewer to the price of the coffee itself. Check out some of the great prices at Amazon on coffee makers for your counter. Braun's AromaDeluxe is a no-nonsense, easy-to-use coffeemaker for those who still prefer a basic cup of coffee. The coffeemaker brews up to 10 cups using a fast brewing method that thoroughly extracts the rich flavor and aroma from your ground coffee. Offering something a little different, chocolatey and so full of taste in your mug! The decadent taste of rich, creamy chocolate. Some like it hot, some like it sweet but everyone likes it ready to drink on their desk or counter. Build your coffee station with some of the most wonderful coffee, tea, hot chocolate and decaf coffee flavors in the world. Choose a few Green Mountain, Timothy's, Gloria Jean or Caribou blends and pile the boxes on your counter. You can add a carousel to your countertop that holds k-cups and revolves around so you can browse all the wonderful brands. Choose from adorable mug holders and trees, coffee theme napkin holders adds that finishing touch. Don't forget the stirrers, creamers and coasters to add personalized accents to your counter. Coffee stirrers are so inexpensive and work great for tea, hot chocolate and home arts and crafts. No time to stop at Starbucks or maybe you don't have a Starbucks in your neighborhood. 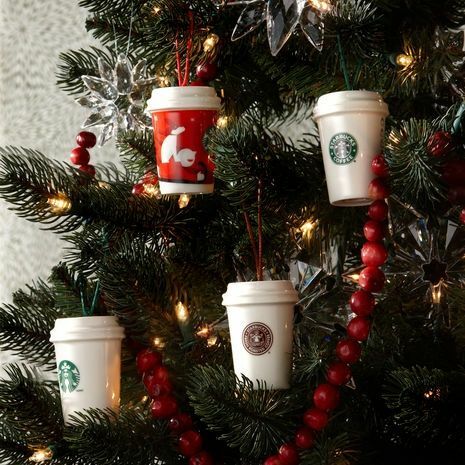 That's OK because now you can enjoy everything Starbucks coffee in your own home or office. Starbucks is selling everything you need for that perfect cup of coffee. 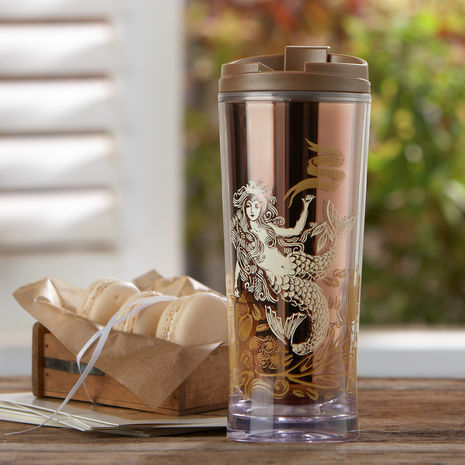 From coffee in bulk ready to scoop, coffee beans and grinders for those who like it superfresh, instant coffee packets and of course, Starbucks Logo Official coffee mugs and travel cups ready for busy people on the go. 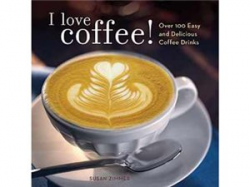 Over 100 Recipes Using Coffee - Great gift idea for coffee lovers! Coffee recipes books and everything you need to brew up coffee to drink, coffee to bake, coffee cakes to compliment your coffee break and wonderful cafe art gift ideas. 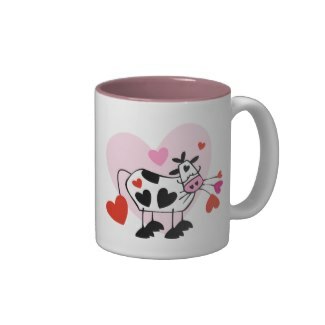 Coffee lovers unite in loving a mug of hot coffee, but not all coffee drinkers like theirs the same way. Some like it black, that's my only way to drink it. Some add a touch of milk or cream. Others add a packet or spoonful of sugar or sweetner to their cup. Other - Tell Us About It! Yuk - No Coffee For Me! So cool to store and choose your k-cup selections a cool carousel that will fit easily on your counter and show off your favorite coffee loving taste of the day. 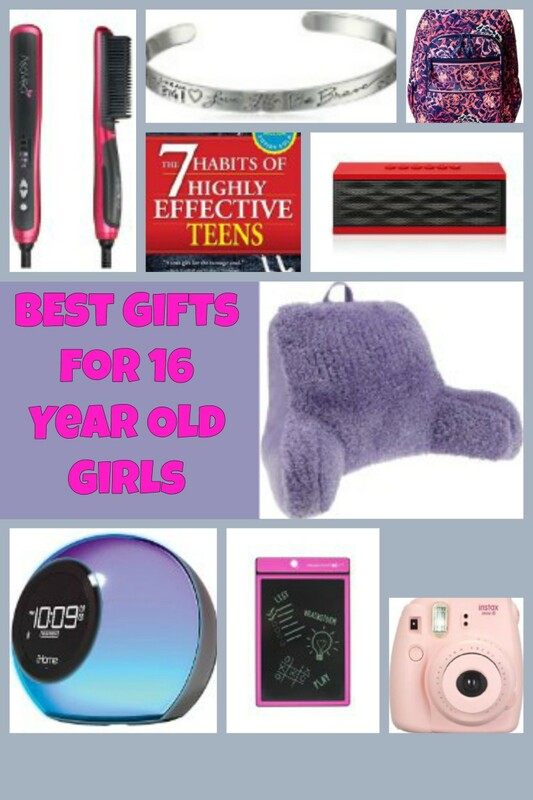 Amazon great pricing, discounts available and shipping offers. 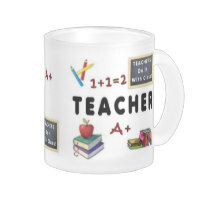 Teachers need to start their day with a great cup of coffee so why not consider a personalized mug for a special teacher appreciation gift idea for holidays and graduation. My daughter has a keurig and she loves it. But, she only drinks about a cup a day. So that's perfect for her. 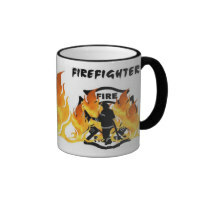 Love your firefighter mugs! 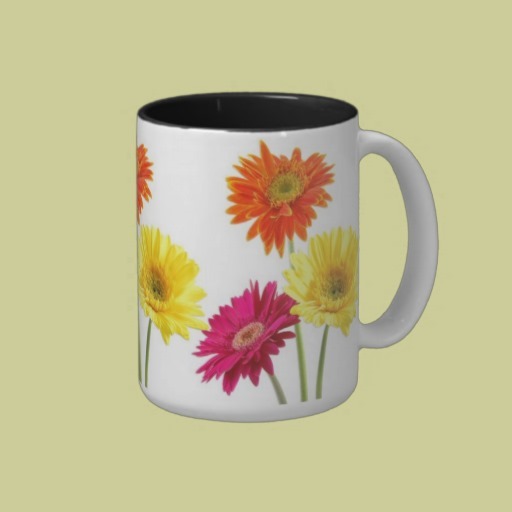 @DebMartin: That is such a fun idea for a coffee mug! The last ceramics I did was a vase and it was so much fun, but so bad looking, oh I mean creative LOL! That really is a fun idea though, thanks for sharing that. I've found my local ceramic craft shop has some very nice shaped mugs at a reasonable price. I like to go in and decorate one or two each year and let them fire it for me. It's fun and they always turn out better than I thought I was capable of. @Dressage Husband: I love the larger reservoir, so far the Cuisinart keurig is my favorite too! 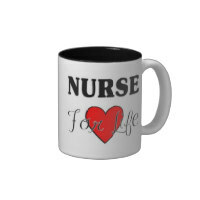 Cheers coffee lover and thanks for the Like! 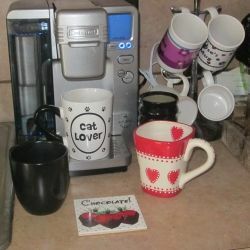 I totally agree and I have bought the Cuisinart version of the Keurig it has a larger reservoir and more available cup sizes and looks better too! Great Lens liked and commented. I love coffee, specialy in the morning. I know several people who would love these. Many people are coffee lovers, so it would be easy to please the one you love by getting them coffee. 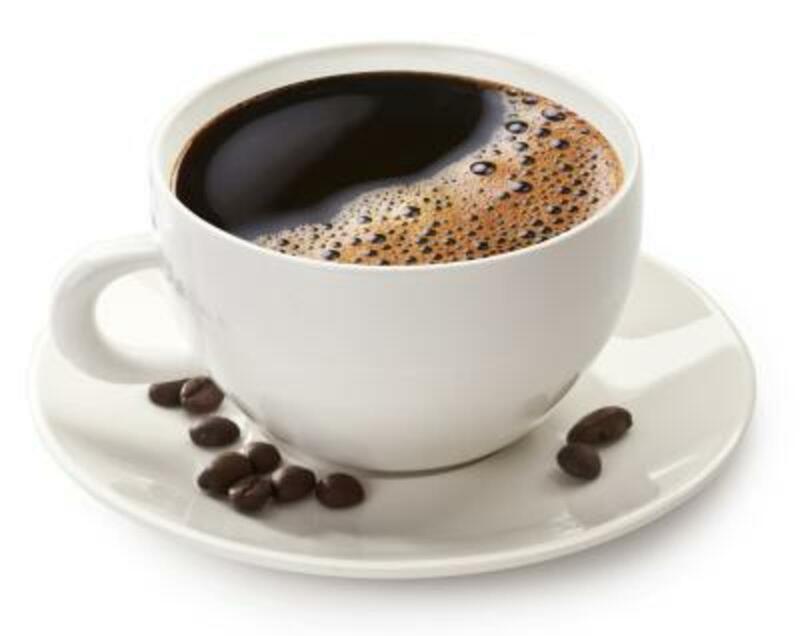 Keurig coffee is just one of them, it is perfectly brewed, easy to use and can surely fill up a mug. 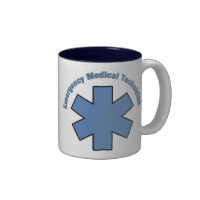 They are easily found in coffee boxes or maybe even check them out from medical distributors. Whatever works for you may be just fine. Very nice lens. Thanks. I gave you a thumbs up, because it's a nice lens. Great lens... very informative. Thanks for the good read. 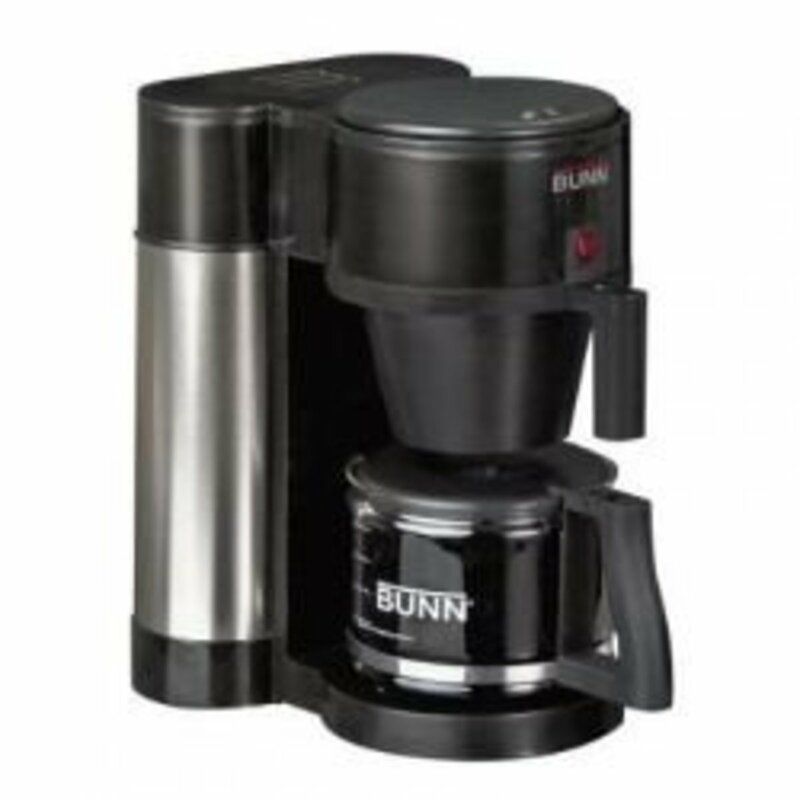 Online market gives us wide varieties to choose the best coffee makers. Coffee makers makes it easy for us to enjoy unlimitted and same taste coffee that we crave for. grind and brew coffee makers offers us a simple yet effective coffee making. Most people look for brands that is durable and easy to use.